These pics were taken by Hans Bacher after we had moved out of Disney's original animation studio into a "temporary" facility in Glendale. 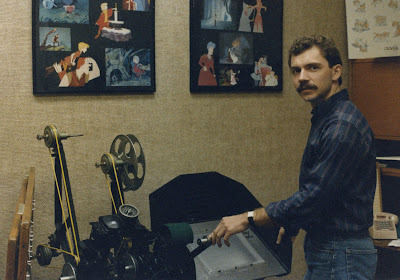 John Lounsbery's Moviola moved with me into my new office. We were not on the Disney lot anymore, but I sure wanted to be surrounded by Disney visuals. So I made up these framed collages on the wall from movie stills. 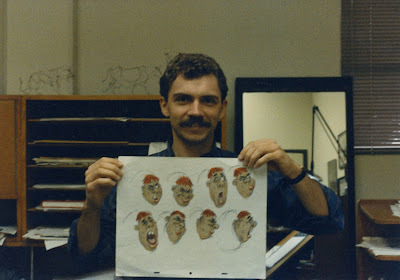 In the top right corner you see a partial model sheet made up of Vance Gerry's character sketches for Oliver. Below a sheet of expression studies for an early version of Creeper. 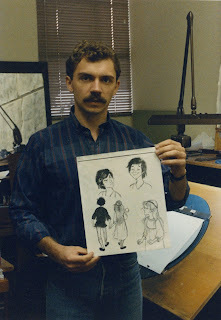 A photo stat showing Milt Kahl's version of Taran and Eilonwy. 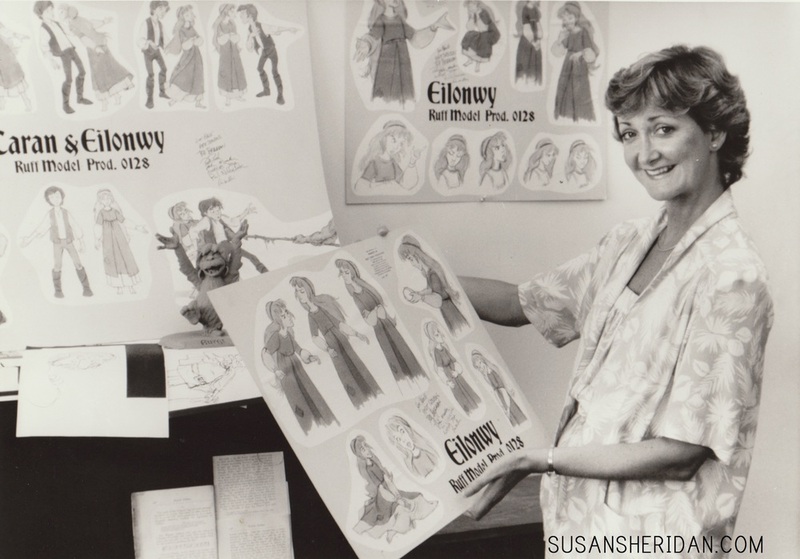 In doing some research on Cauldron online I was sorry to came across the news that Susan Sheridan, who voiced Eilonwy, passed away last year.